Inspired by this beautiful card by the oh so talented Yana Smakula. Love how the background supplies the sentiment. Flowers and leaves from Essentials by Ellen Courage and sentiment from Waffle Flower Balloon Messages. 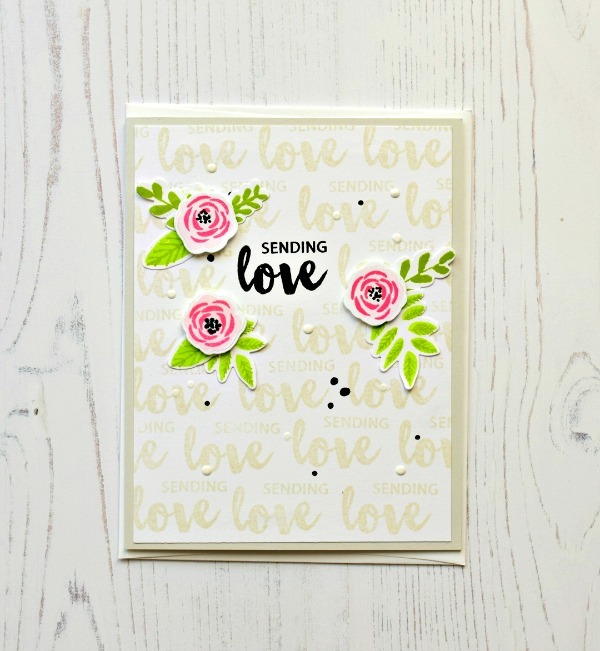 you should be happy - gorgeous card!! i have that card from Yana marked to CASE too! Beautiful card that I want to CASE! Thank you Joan. Now I want to CASE your card! You are very influential in your own right, Joan. Pretty! I like yours even better than Yana's original -- this is so beautiful! I'm going to be CASE-ing this one for sure! hugs!